Business operators used to view in-house counsel as the “department of no.” Today’s in-house counsel has a much more varied and valuable role to play than the legal team of the past. Draft policies based on those regulations. Other members of the in-house legal team worked on due diligence for acquisitions. They also conducted investigations when compliance issues arose. Business operators viewed us as the “department of no.” They dreaded the hand of legal coming down on them to “protect” the company. They saw us as the department that prevented them from implementing some of their plans or ideas. Of course, no one involved us at the stage of creating those plans. No one included us in discussing those ideas. From what I could see, even the general counsel was kept out of strategic planning. The role of in-house counsel has changed dramatically – especially in forward thinking organizations. The legal department is now a key partner in business planning and performance. Legal goes far beyond the pure “protector” role of the past. Legal is now involved in helping business operators evaluate and address risk. This makes business operations more agile, resilient and responsive to change. 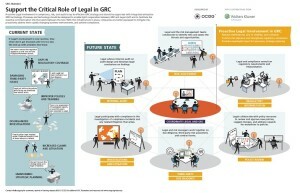 Take a deeper look into the critical role of legal in governance, risk management and compliance (GRC). 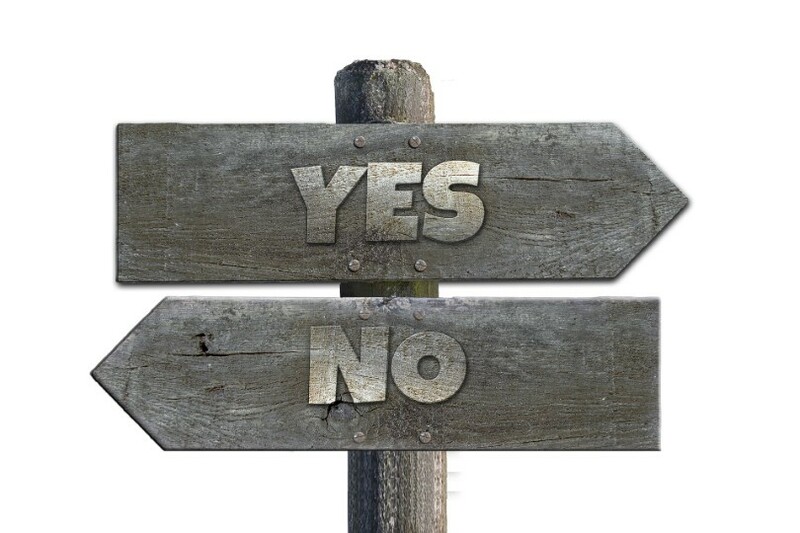 Consideration of risks that might affect ability to comply with contracts or regulations. Your legal staff has important information that can benefit your negotiations. Here’s one 20 million dollar example from my past. A company I worked with was in the process of closing an acquisition. The company to be acquired had several manufacturing plants. One of the business executives called me as they were in final review of the closing documents. He wanted to know what the term CERCLA meant. He had just seen the term in the closing disclosures. I explained that this was the statute generally known as “Superfund” legislation. And if he was seeing something about it applying to the target company we should look into it. After 20 minutes of research, we learned that the company was indeed a party in a Superfund case. The company had potential liability that could double the actual cost of the 20 million dollar acquisition. The very real risk of this liability allowed the business executive to demand renegotiation. He managed to reduce the price. And he set up a reserve to address any future liability. Getting legal advice to identify and assess the risk (albeit at the last minute) led to a better deal. Systems to manage the due diligence and oversight of third parties (to name just a few). It is essential for in-house counsel to know how to use these systems. And teams who are responsible for management of risk and compliance need to be involved as well. 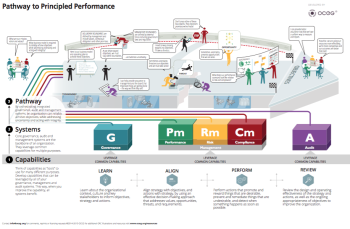 Principled Performance is a point of view and an approach to business that helps organizations reliably achieve objectives while addressing uncertainty and acting with integrity. In-house counsel is able to advise executive leaders as they set objectives. Legal helps frame discussions about the identified risks, compliance requirements, and contractual obligations that may impact the ability to achieve objectives. Once objectives are established, legal can then help risk and compliance teams to establish oversight of internal operations and external changes that affect the ability to manage uncertainty and stay within established boundaries. Working hand in hand with internal audit, legal can ensure that risk and compliance efforts are well reviewed for assurance of their design and operation. By being at the center of these discussions and plans, in-house counsel will live up to the name and provide true counsel and advice to help the business manage risk to its benefit.